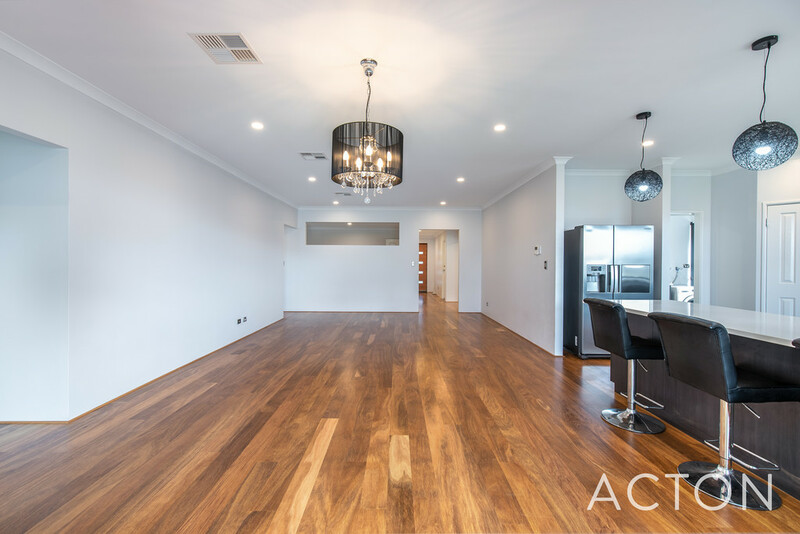 STYLE, SPACE AND ALL THE EXTRAS !! 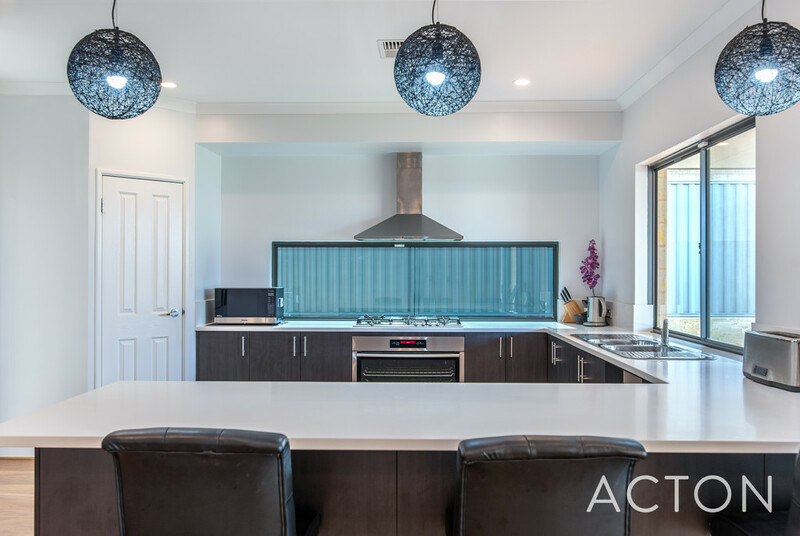 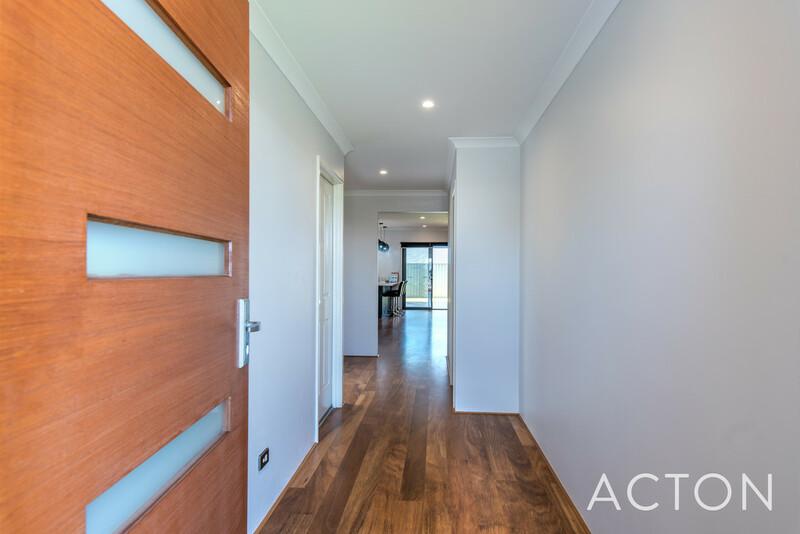 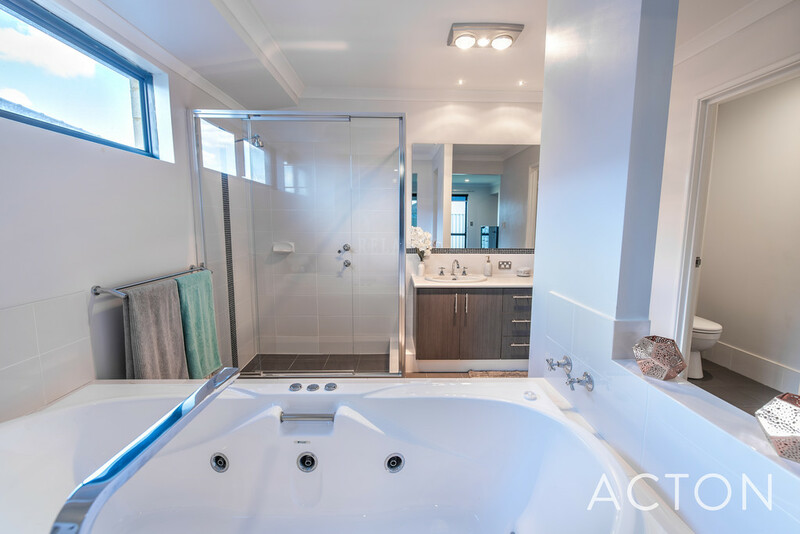 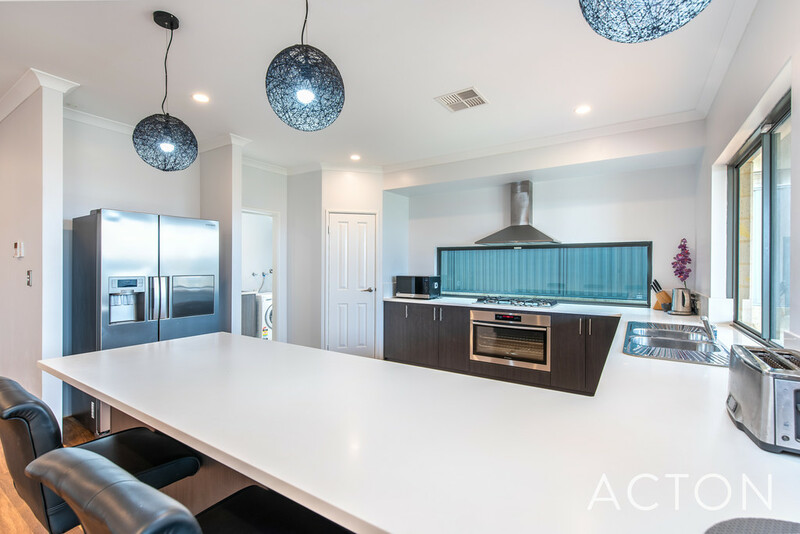 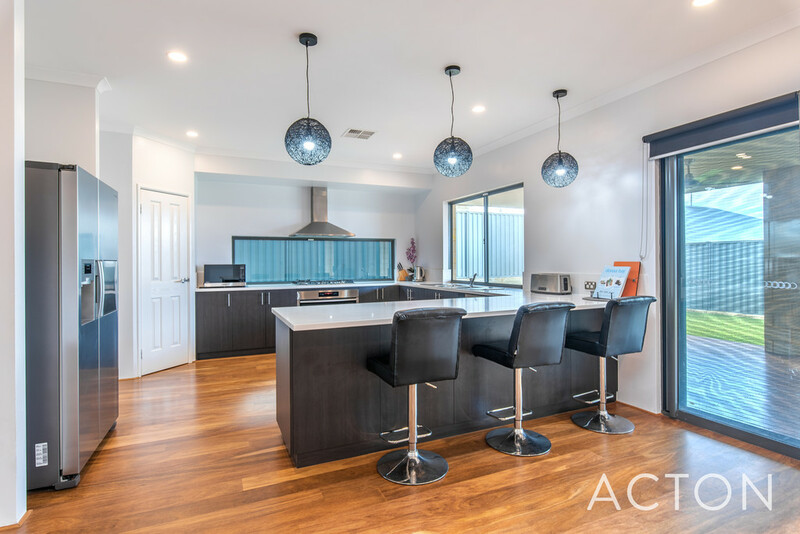 This is your perfect opportunity to secure a quality family home in the sought after private estate Trinity' in Alkimos. 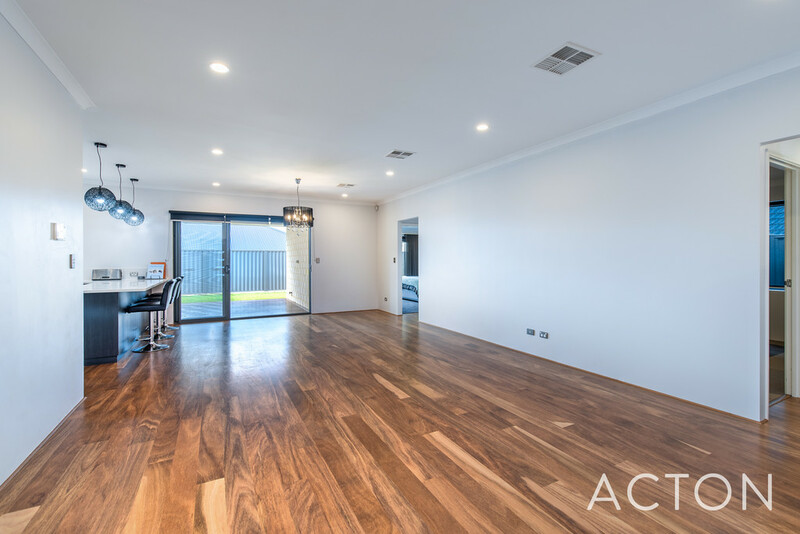 This amazing home, decorated with a neutral palette in the Hamptons style is complete with quality fixtures and fittings. 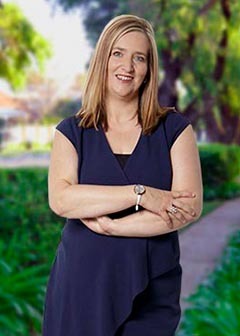 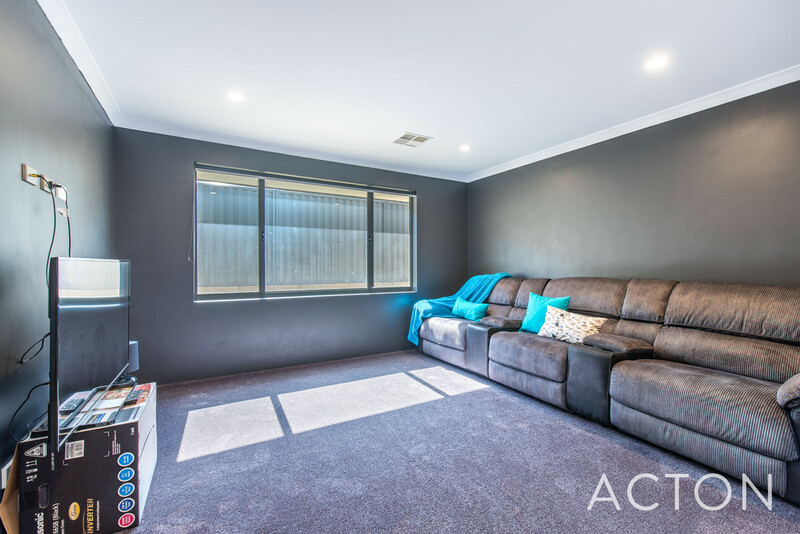 In near new condition, the home is in spotless condition throughout and is ready for new owners to move straight in. 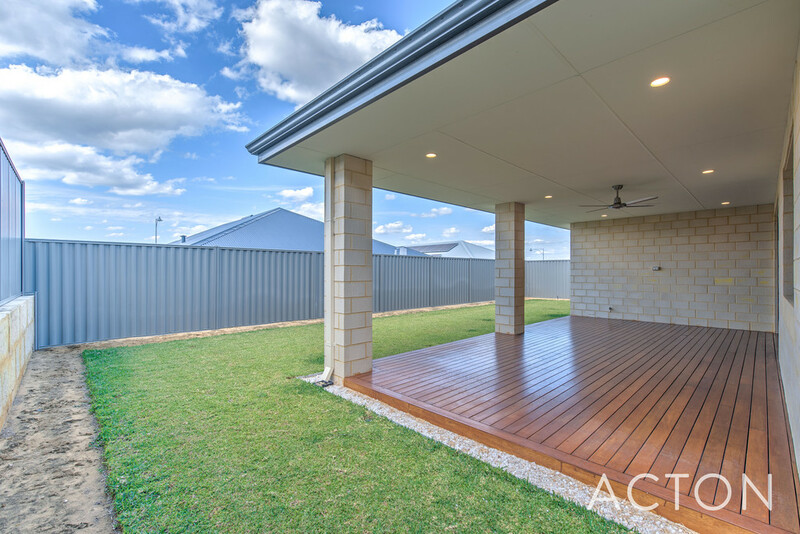 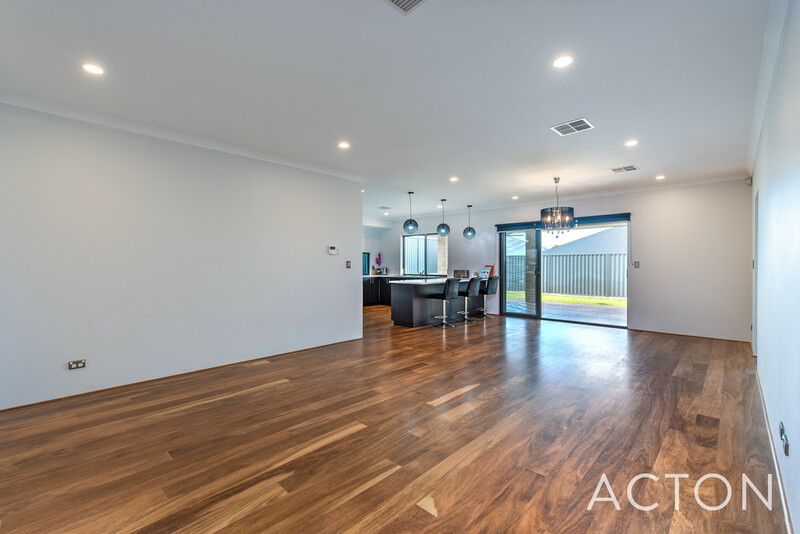 This customised Home Group WA property has low maintenance reticulated lawns and gardens which are a blank canvas waiting for you to create your own private oasis. 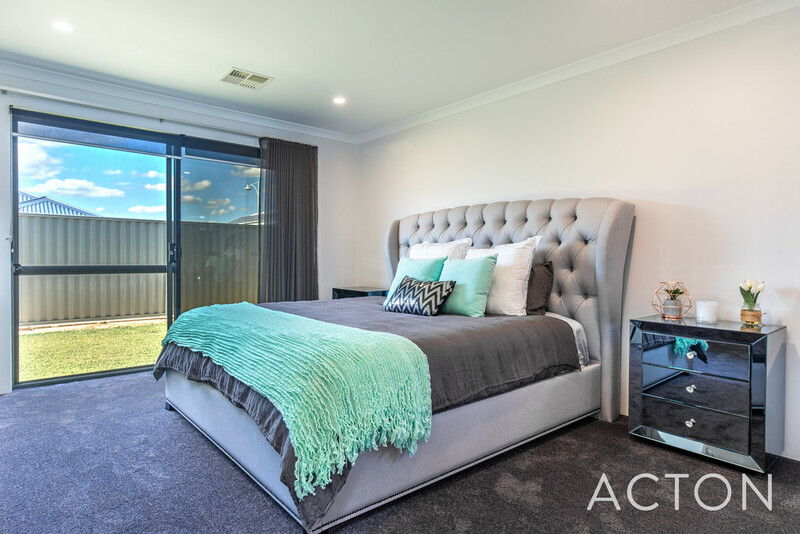 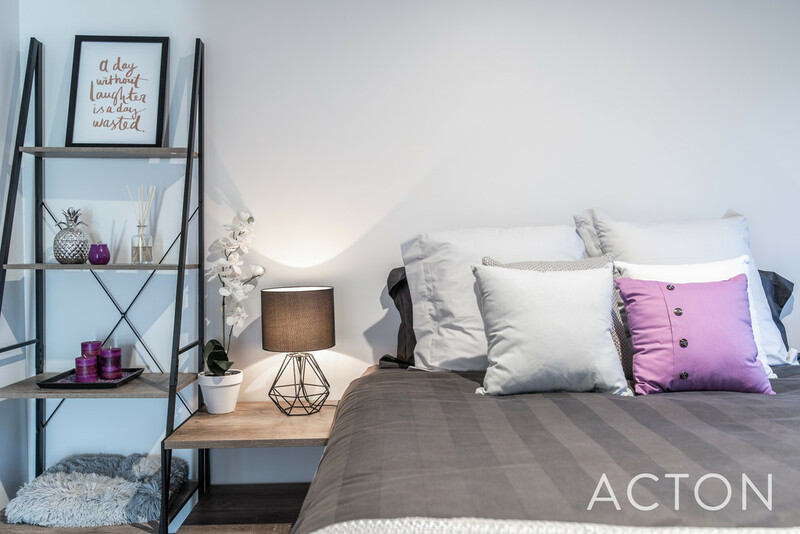 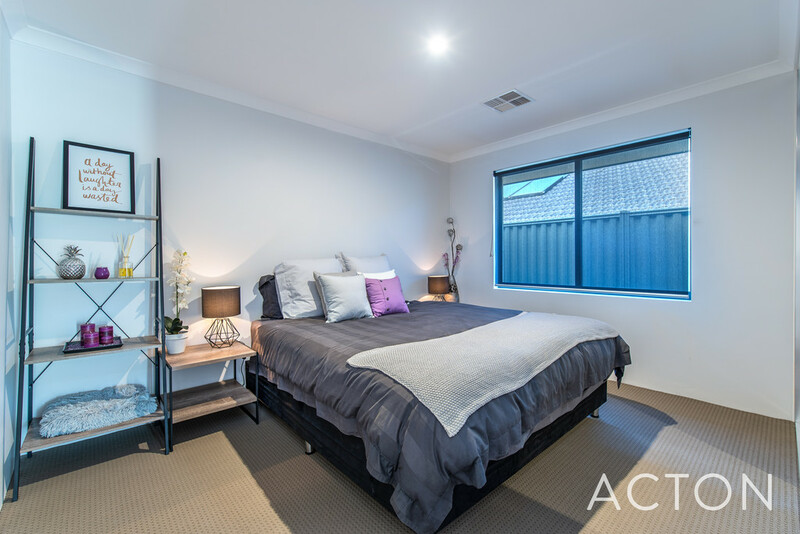 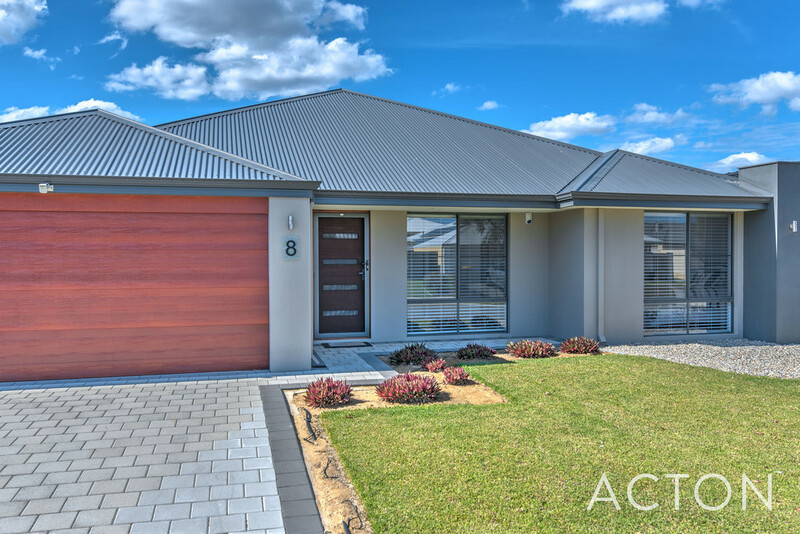 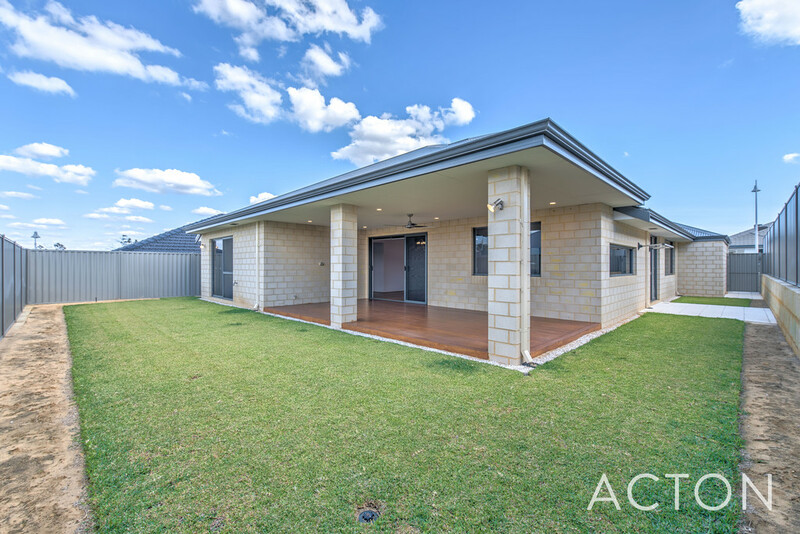 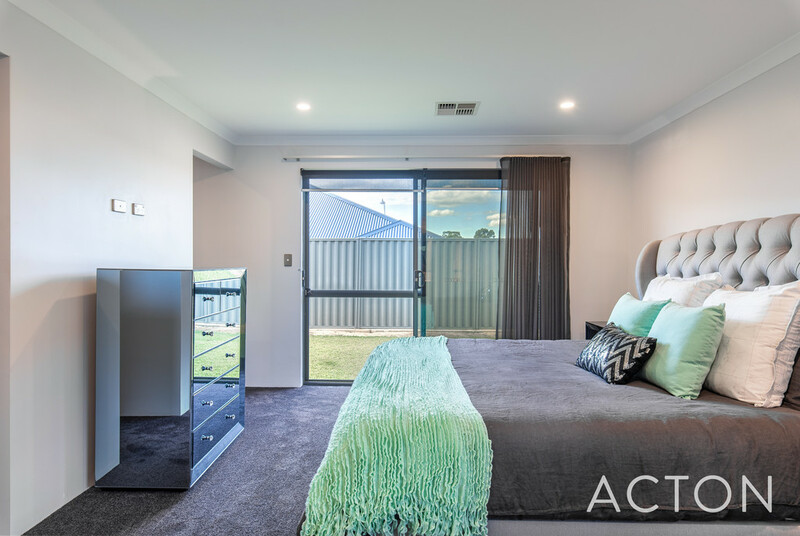 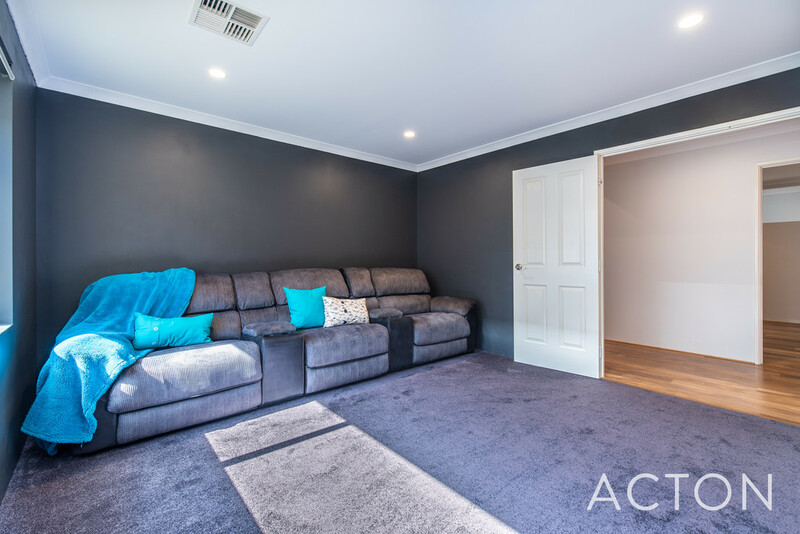 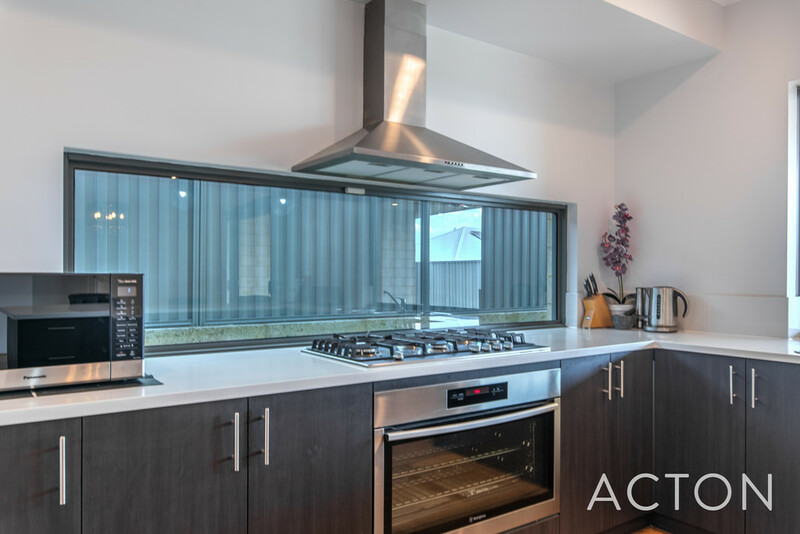 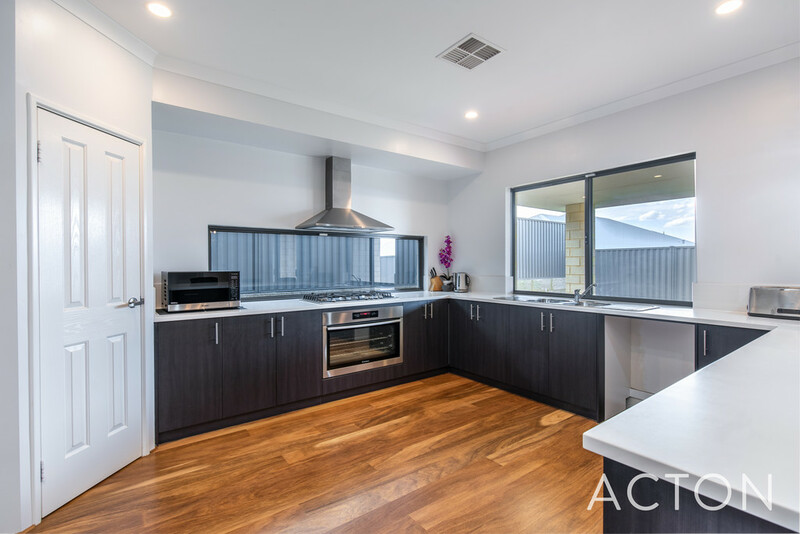 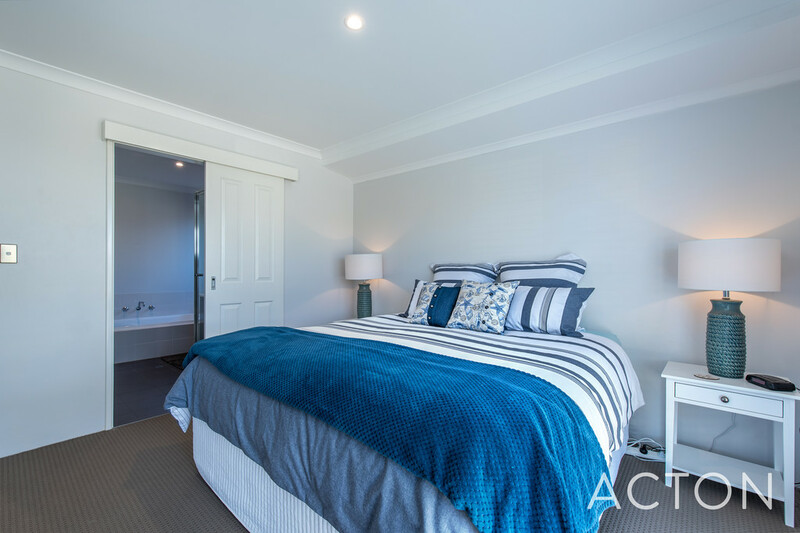 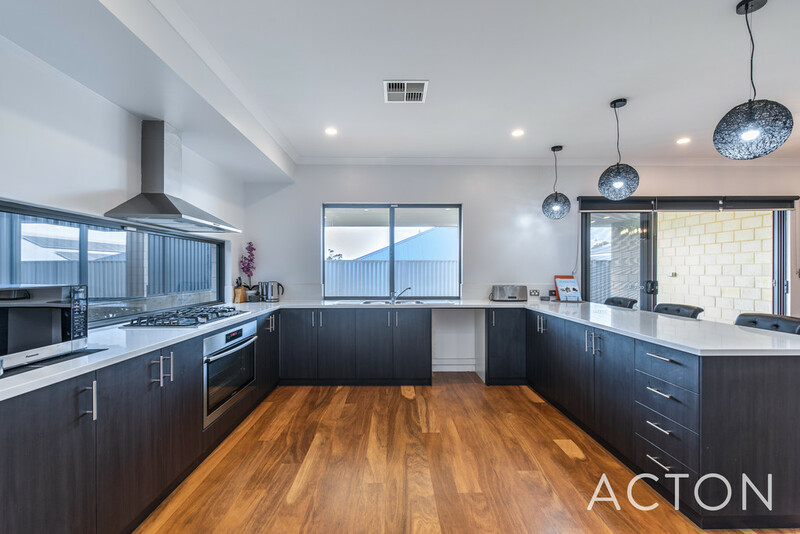 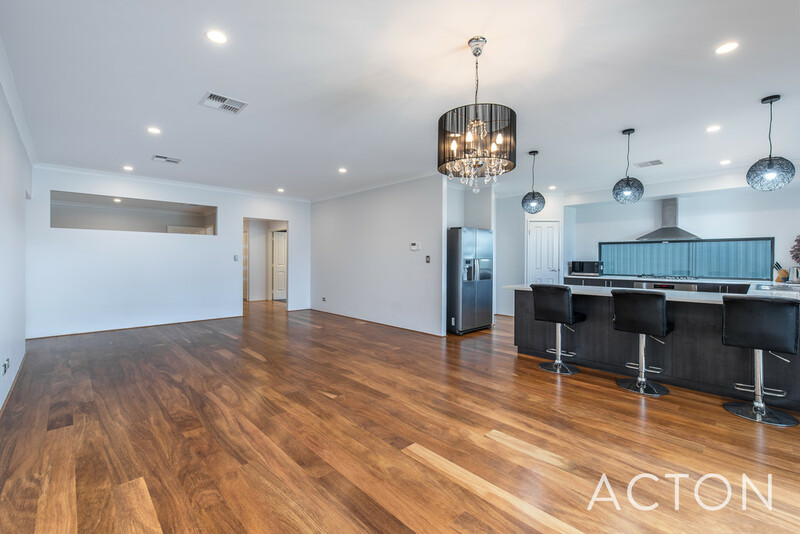 Ideally located only a short distance to the New Trinity Village Shopping Centre, close to all amenities including Alkimos Primary School and the new High School which will open in 2020. 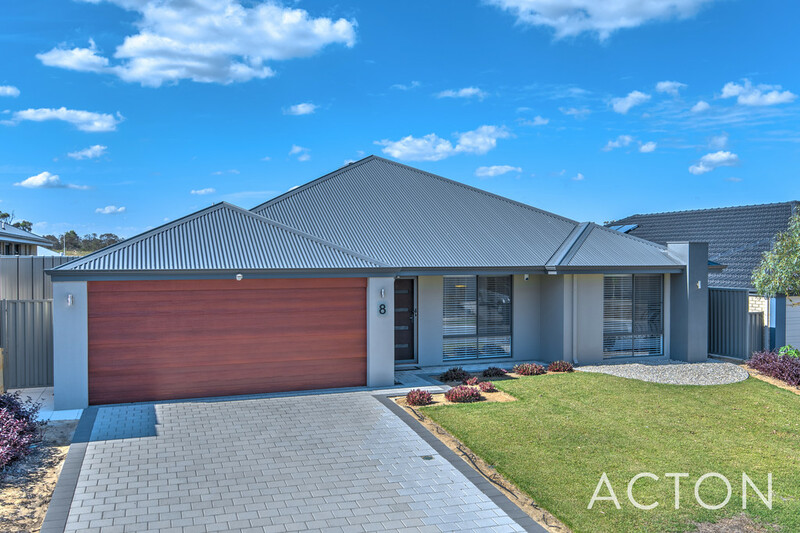 The rail line extension including a station at Alkimos is due to start construction later this year and, just announced, is the Freeway extension to Romeo Road. 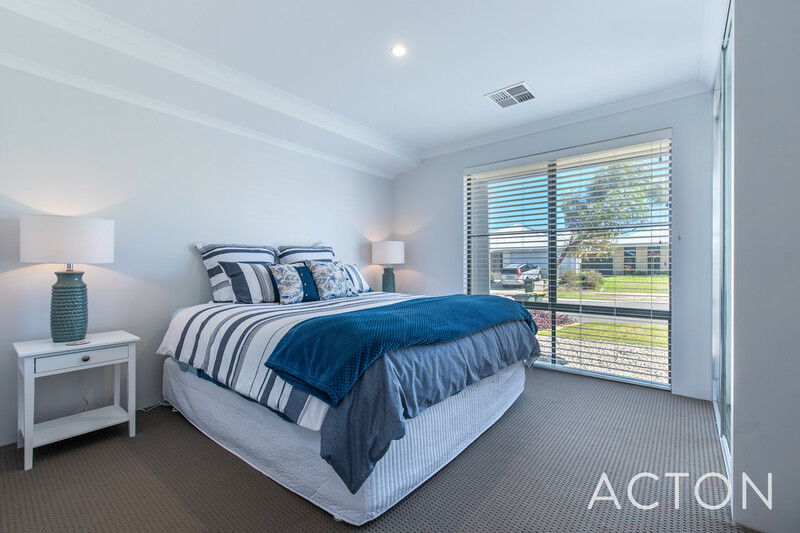 The spacious resort-style master bedroom with new plush carpets and a large WIR is secluded at the rear of the home. 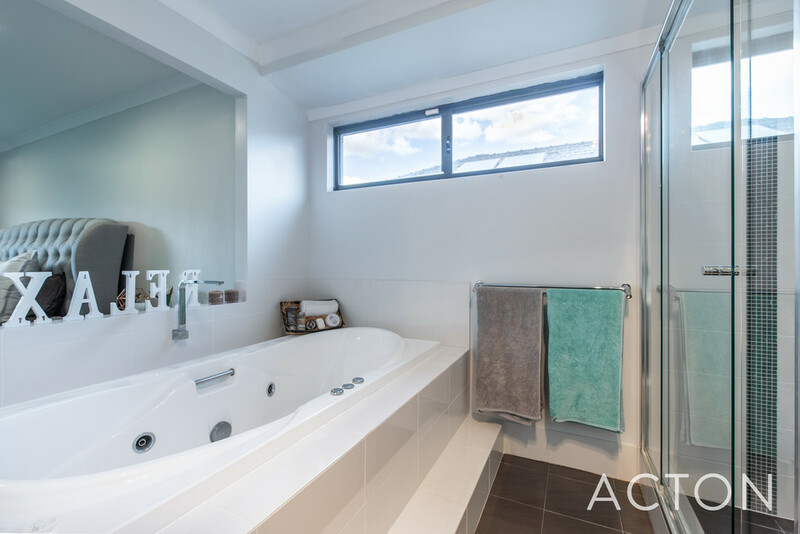 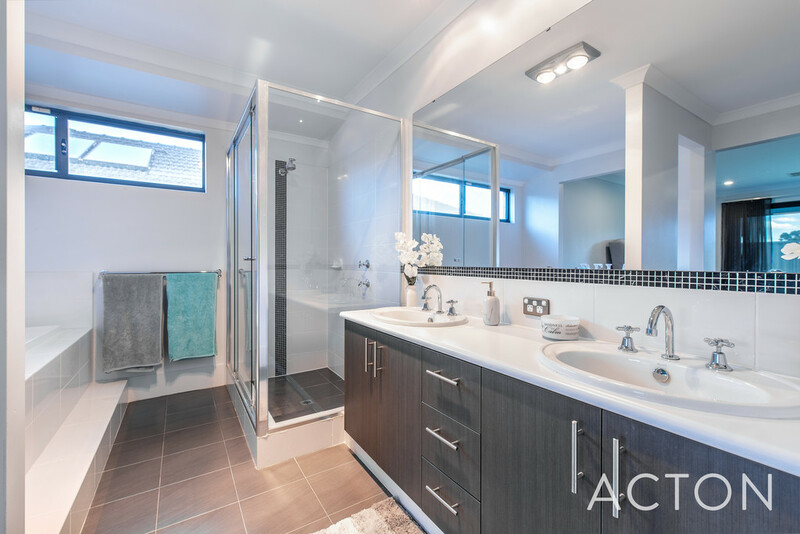 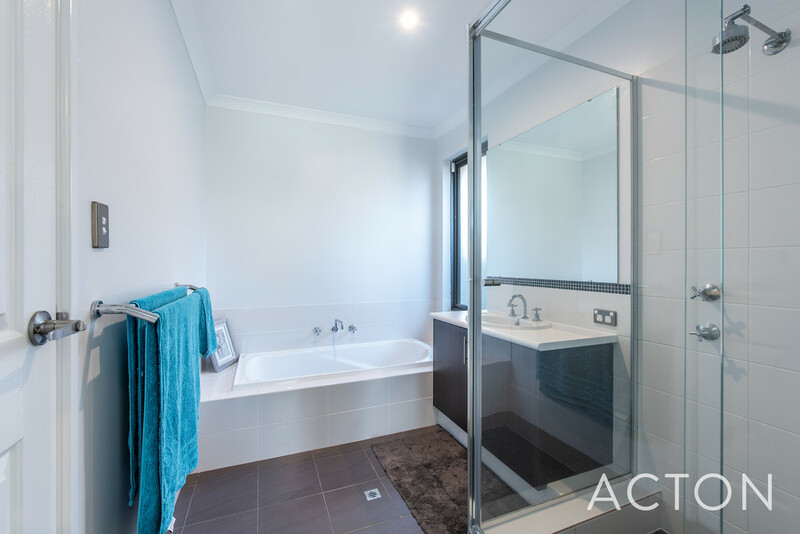 The modern ensuite includes a spa, double vanities, large shower, separate wc and quality fixtures and fittings. 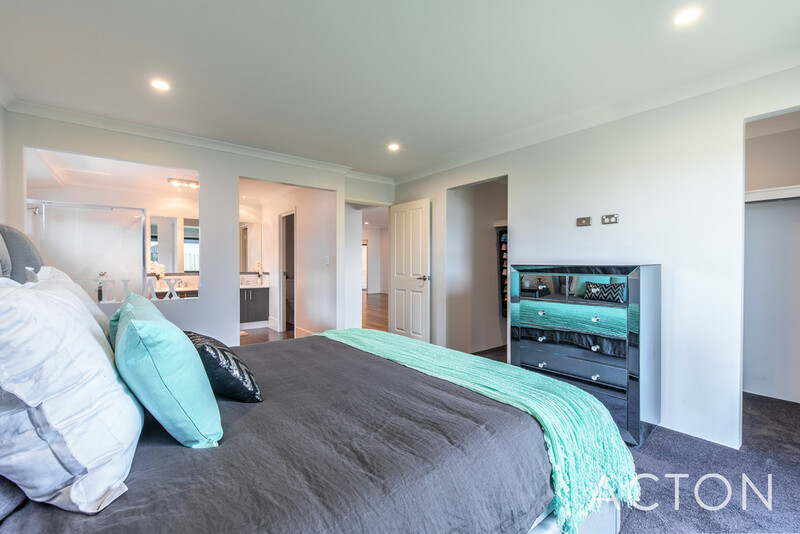 A separate bedroom wing comprises 2 double size and one King size Guest bedroom with semi ensuite bathroom all fitted with double mirrored BIR's. 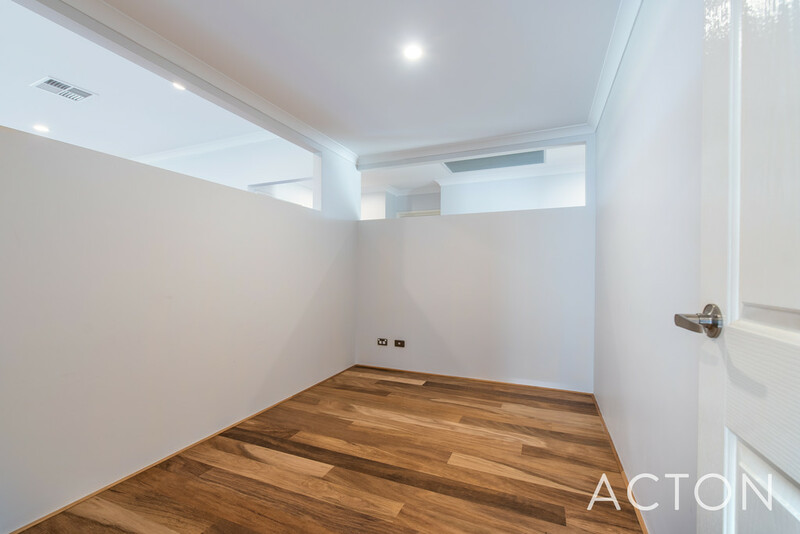 An activity / study area is located off the entrance hall. 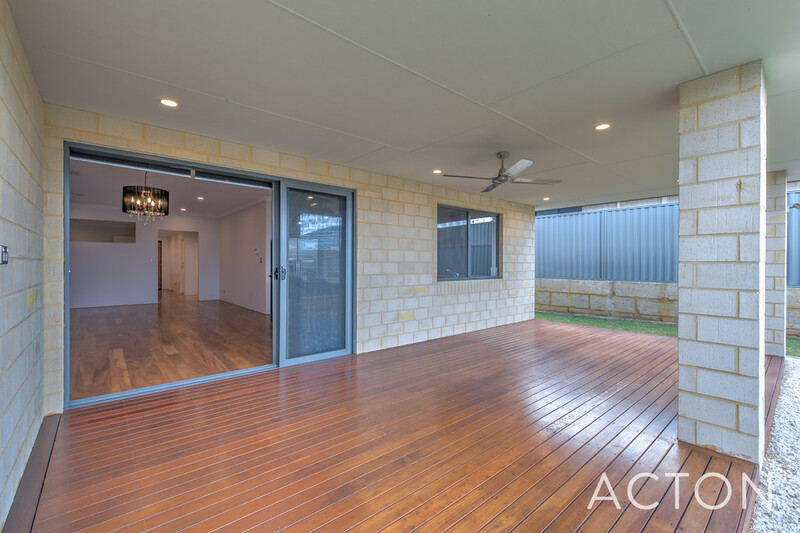 The living and dining areas flow seamlessly out to the extensive timber decked alfresco where you have the ideal setting for BBQs and year round entertaining. 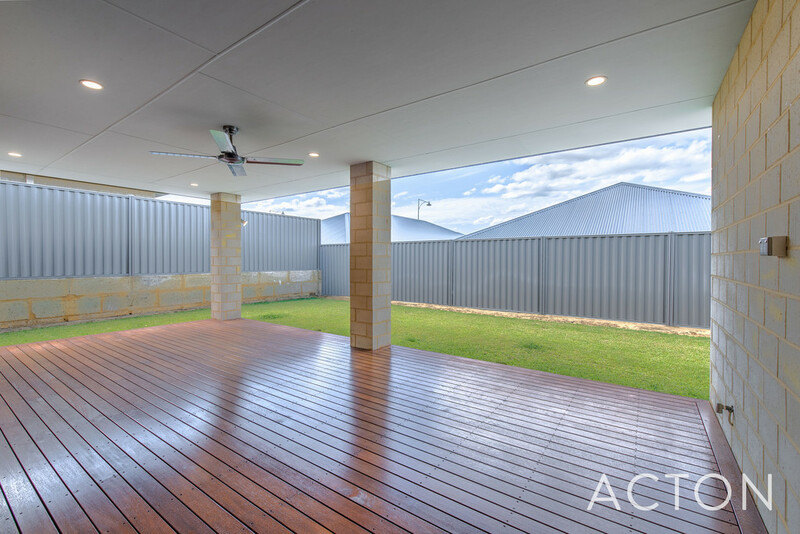 Mains gas point and ceiling fan complete this idyllic outdoor area.